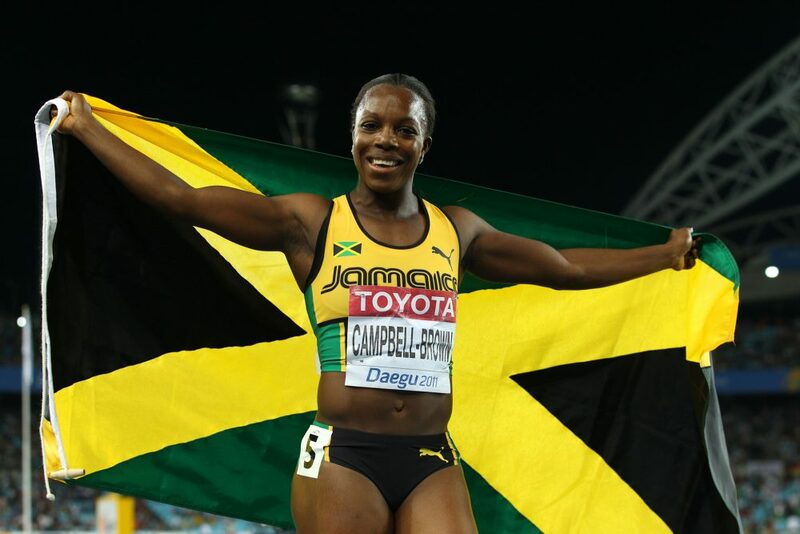 In athletics circle, the name Veronica Campbell-Brown is synonymous with history. To be clear, not being a part of history but creating it! Born and raised in rural Jamaica in the parish of Trelawny, there were no family genes, no cutting-edge equipment and or facilities serving as portent of the success to follow. By sheer determination, natural talent and hard work, VCB parlayed her primary school promise into a scholarship to one of Jamaica’s venerable high school track programs, Vere Technical. Incidentally, Vere Technical is the only high school in the world to boast four alumni to run under 11.00 in the 100 meters. The four piloting Vere Technical to that position are Merlene Ottey (VCB’s self-proclaimed role model), Beverley McDonald, Simone Facey and of course VCB herself. Whilst in high school, VCB in 1999 became the first female to win the World Youth Games 100 meter title; that win marked the first time a Jamaican was winning a global 100m title. In the very next year she won her first of seven Olympic Games medals courtesy of a relay silver medal at the Sydney Games. Interestingly, VCB became the youngest ever Jamaican female to win an Olympic medal! More history was created that same year when in Santiago, Chile, VCB became the first female to win the 100m and 200m at the same World Junior Championships! At the 2004 Athens Olympic Games VCB kept the history buffs busy as her medal haul of 100 meter (bronze), 200 meter (gold) and relay (gold) propelled her to the title of most successful Caribbean athlete ever at a single Olympic Games! Additionally, by virtue of winning the 200 meter, VCB became the first female from the Caribbean to win an Olympic sprint title! Want more firsts? At the 2007 World Championships, VCB captured the 100m title and in the process became the first athlete (male or female) to win the full offering of International Association of Athlete Federation (IAAF) sprint titles available. She had won World Youth 100m (1999), IAAF World Junior (2000). Want more history? 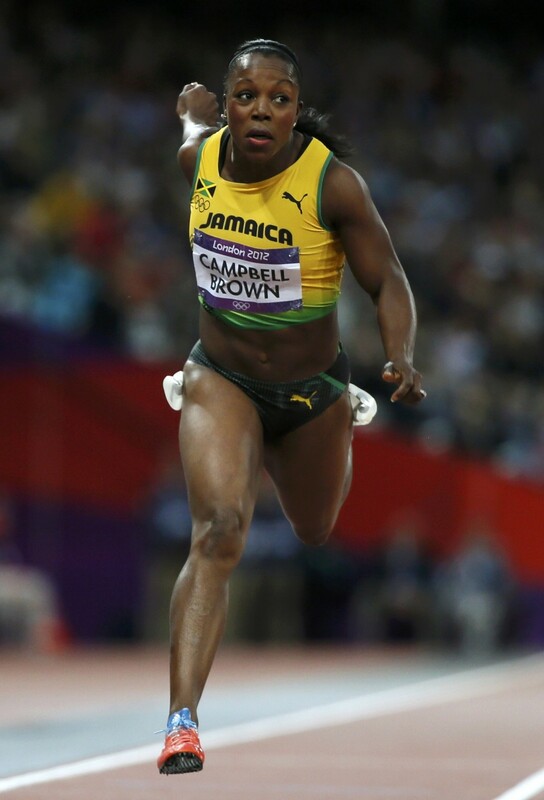 That 2007 World Championship 100m gold medal made her the first Jamaican to win a senior global 100m title! At the 2008 Beijing Olympic Games, VCB became only the second woman in Olympic Games history to successfully defend her 200m title. Barbel Wockel of Germany in 1976 and 1980 had previously turned the trick. In 2009 more history was created by this athletic giant when she became the first female track athlete to be named UNESCO Champion for Sport. 2010 evidenced her first foray at the global indoor level and she duly obliged climbing to the top of the podium at the Doha staging of the World Indoor Championships. Her (7.00) triumph signaled a personal best at 60m. Outdoors she was unblemished at 200m and finished the season with world leading times in both the 100m and 200m. With 2011 came the World Outdoor Championship and another first for VCB. The bemedaled Jamaican finally secured the 200m crown the only individual sprint gold outside of her possession at the World Championship prior to her (22.22) performance. Additionally, she pocketed silver medals in the 100m and 4x100m relays. Earlier in the season a 100m personal best of (10.76) added to the radiance of her outstanding season. Displaying the ability to juggle academics and athletics with equal ease, VCB secured her Bachelor of Science degree in 2006 from the University of Arkansas in Fayetteville. An avid bowler, the daughter of Cecil Campbell and Pamella Bailey and now wife of 2006 Commonwealth Games 200 meter Champion Omar Brown, VCB has come a long way from Trelawny and intends to continue creating history! Veronica Campbell-Brown, youngest Jamaican woman to win an Olympic medal and an eight-time Olympic medalist, walks us through her incredible professional journey in an exclusive interview with Namita Nayyar, President Women Fitness.